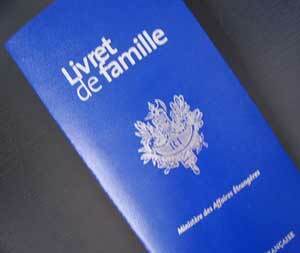 After what seems like months of sending papers and documents back and forth to the French Consulate in Chicago, we finally received our new “livret de famille” via Express Mail yesterday!! We also received French birth certificates for our two little ones, and now it’s time for a celebration because they are now officially both FRENCH and AMERICAN!! This is progress. Time to order the French passports. Now I just have to work on French nationality for myself…. I really should get started. All of this should really be helpful once we get to France. On another note, we had a showing of our house on Saturday, and another one tonight (everyone cross your fingers for us that these will be the people who fall in love with our house and put down a contract right away).